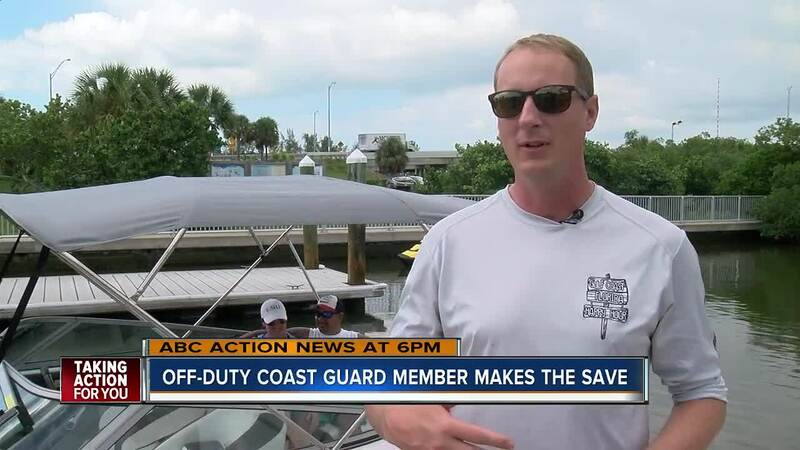 CLEARWATER, Fla. — A helicopter pilot for the Coast Guard was off-duty and out on his boat with his family when they rescued two people from the water near John's Pass, officials say. Coast Guard Lt. j.g. Justin Pacheco said of helping the two people, "That's what any boater would do." Pacheco was with his family on their 21-foot boat when he noticed something in the water, officials say. "The nose went straight into the air and then rolled over and sank pretty quick -all in about 10 seconds," Pacheco said. According to officials, a 51-year-old Clearwater man and a 39-year-old Seminole woman were in the water after their 22-foot boat capsized. Pacheco says they rescued them quickly. He and his family called 911 then, officials say, immediately got to work. Pacheco used his own boat to get to the two people and helped pull them out of the water. 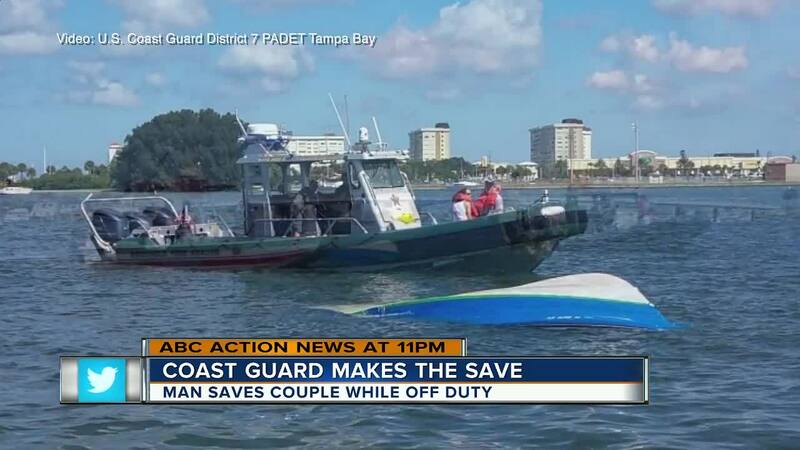 "We had them in the boat within maybe a minute of seeing it roll over," Pacheco said. Officials say a Pinellas County Sheriff's Office marine unit and a Seminole Fire Rescue boat crew responded to the scene. The couple was taken to Madeira Beach Marine, no injuries were reported. The 22-foot boat is still in the water and officials say it poses a hazard to navigation. The owner is working with commercial salvage to remove it. The Coast Guard asks mariners to keep a sharp lookout for all possible hazards.